Regional airports saw a rise in domestic traffic, while the Athens International Airport saw rises in both domestic and international traffic in early 2019. 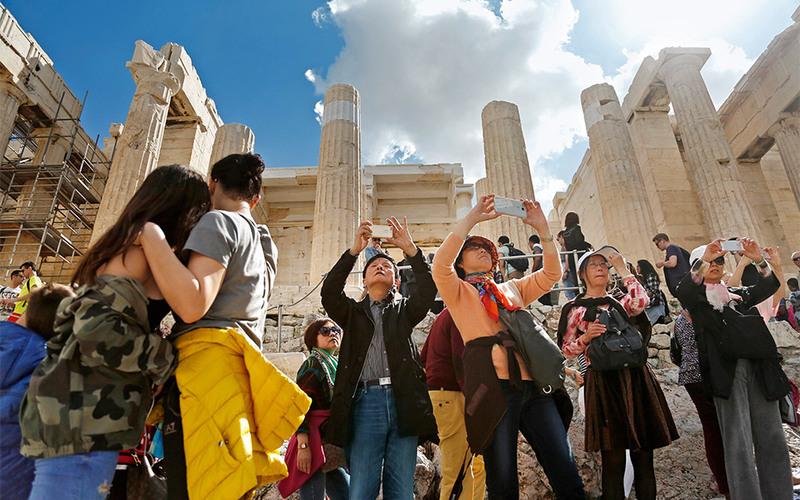 Tourist traffic data for 2019 is looking rather good, as Fraport Greece announced a first-quarter year-on-year rise of 8.2 percent at its regional airports, though this is attributed mainly to domestic rather than foreign travelers. The total number of passengers using Fraport’s 14 airports in Greece came to 1.9 million from January to March, with last month seeing an uptick of 1.1 percent compared with last year, to reach 710,000 passengers. Domestic traffic, the firm’s data show, rose 4.7 percent this March compared to last, while international traffic dipped 4.8 percent. The highest March increases, in the double digits, were recorded at the airports of Kos, Kefalonia, Kavala, Mytilene, Corfu and Santorini, while Samos and Thessaloniki also performed well. Athens International Airport, meanwhile, appears to be looking forward to another busy year, as first-quarter traffic grew 9.4 percent to reach 4.4 million passengers. Both domestic and international traffic rose year-on-year, by 8.8 percent and 9.7 percent respectively. In March alone, AIA saw an overall hike of 8.8 percent, with 1.7 million passengers. The improvement was evident in both domestic and international traffic, which rose 7.9 percent and 9.1 percent respectively.